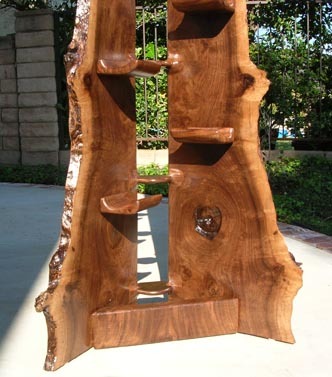 This beautiful California black walnut shelf was created from two book matched pieces of harvested wood. 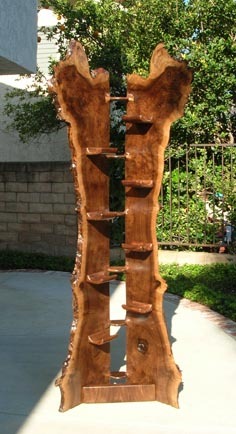 Standing at seven feet tall with 25-inch sides, this book shelf is designed to fit into a corner. There are no metal parts, nails, or screws — aside from the adjustable feet. 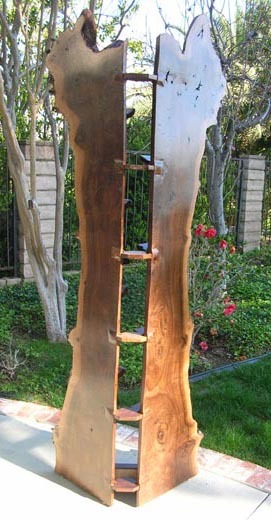 The live edge is reflected back upon itself and makes for an interesting visual study from all sides. 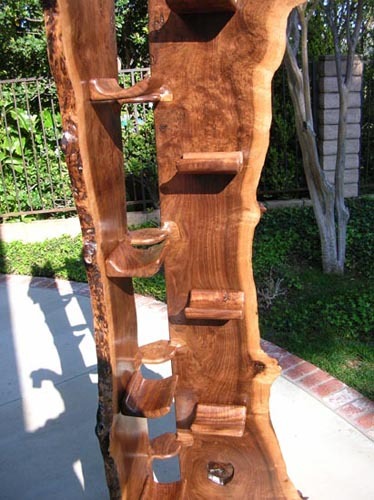 Handcarved shelves were also cut from black walnut and provide strong support for books, collectibles, or other display items you may have. 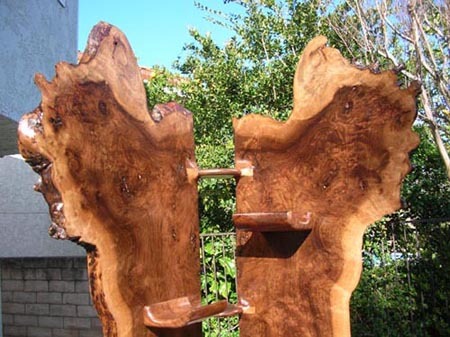 Fully sculpted, sanded, and finished with durable urethane. 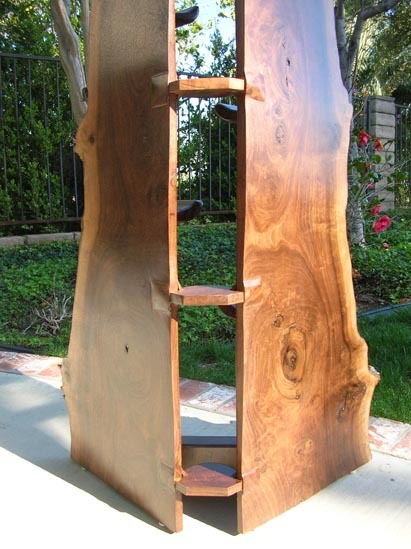 Rest assured, this is a sturdy unit that will provoke conversation where ever you place it. Price is $2200 and includes local delivery. Contact us for more information.